1941 and baseball’s biggest star, Hank Greenberg, is drafted into the army. The hope is he would serve a short term then return to the game while being retained on the reserve list. Instead Pearl Harbour happens and the future of the game during wartime is put in doubt as many players are eligible for service and sign-up to fight. Unsure whether the 1942 season will even be allowed to proceed, the baseball commissioner writes to President Roosevelt who decides the game must go on for the sake of morale. The difficulty for the baseball clubs is that talented players are being stripped out of the game at all levels and travel between games is restricted. What’s left are players deemed too young or old or unfit for service or have family duties. The teams cobble together new starting line-ups and re-jig the timetable to include more night games and double-headers. One of the players to get his chance includes Pete Gray, who lost an arm as a child, who made his living in the minor leagues constantly pushing against prejudice. 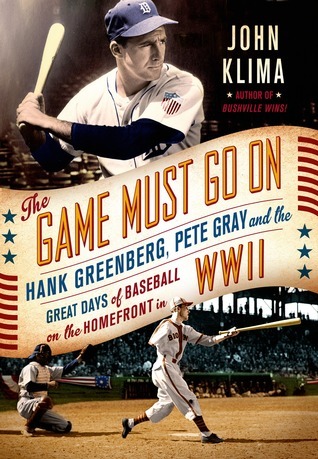 John Klima tells the story of baseball in the war years, focusing in particular on the stories of Hank Greenberg, Pete Gray, Billy Southworth Sn and Jnr, and Bob Feller, with a wide supporting cast of those that went to war and those that stayed in or joined the game. As well as detail the story of the game at home, he also details the experiences of the players serving in the army and navy both in the states and on the battlefield. 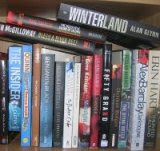 The result is an engaging tale of personal trials and an enterprise under pressure. Klima tells the wider story by weaving together a set of intersecting narratives concerning individuals, teams and the business of baseball as they unfold between 1941-1945. The result is a wealth of information and an interesting tapestry of stories. However, the text suffers from a fair amount of jumping between different themes and individual/institutional tales, as well as too much repetition, and would have benefitted from a serious edit. Nonetheless, The Game Must Go On is a fascinating and accessible read about a turbulent period in baseball history that reshaped the post-war game.